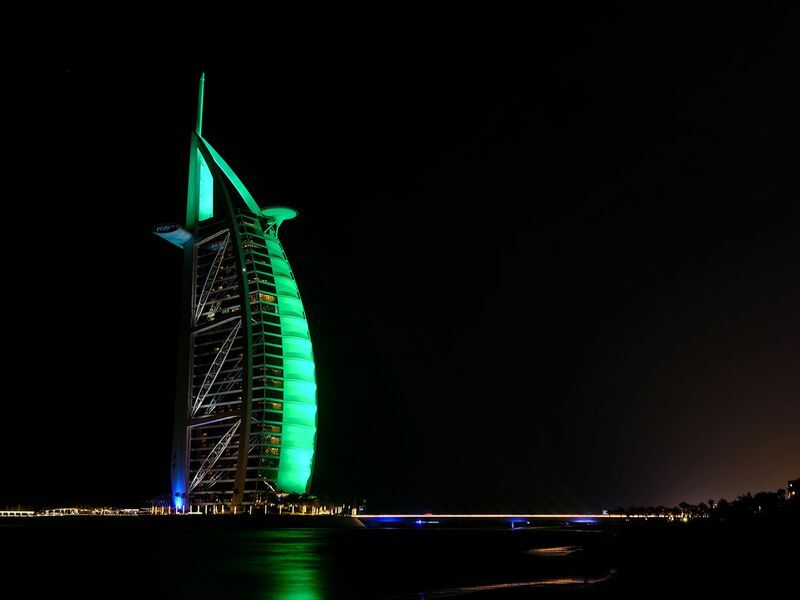 Dubai: The UAE was illuminated in green on Sunday as it celebrated St Patrick’s Day, the national day of the Republic of Ireland and the 10th anniversary of Tourism Ireland’s ‘Global Greening’ initiative. 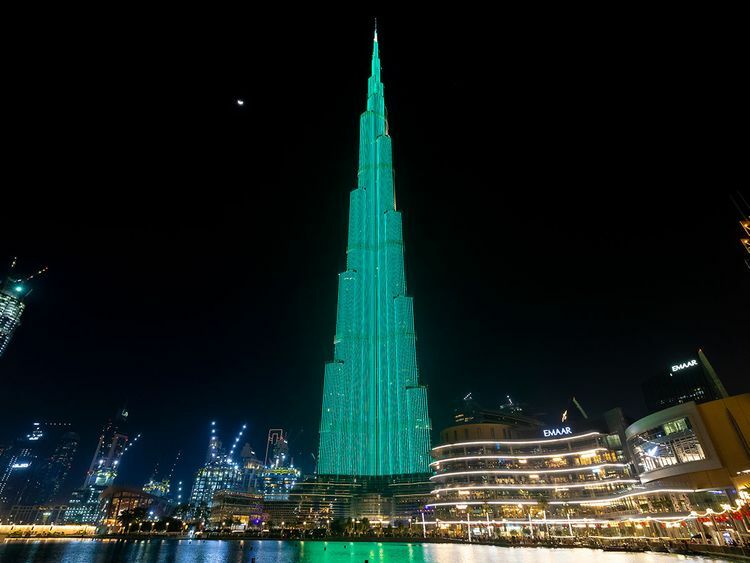 Several iconic UAE buildings, including the Burj Khalifa, were lit up with green lights, signifying the ever-strengthening relationship between the UAE and Ireland. 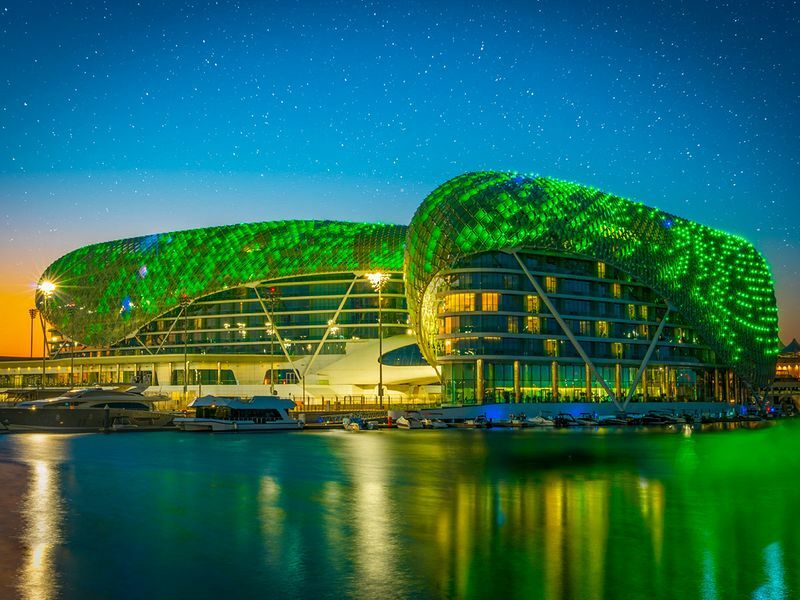 This year’s ‘Global Greening’ saw new landmarks join the initiative like the Burj Khalifa, Cayan Tower, Nation Towers and Intercontinental Abu Dhabi, alongside existing participants, the Burj Al Arab, Dubai Creek Golf and Yacht Club, and the Dubai Duty Free Tennis Stadium. 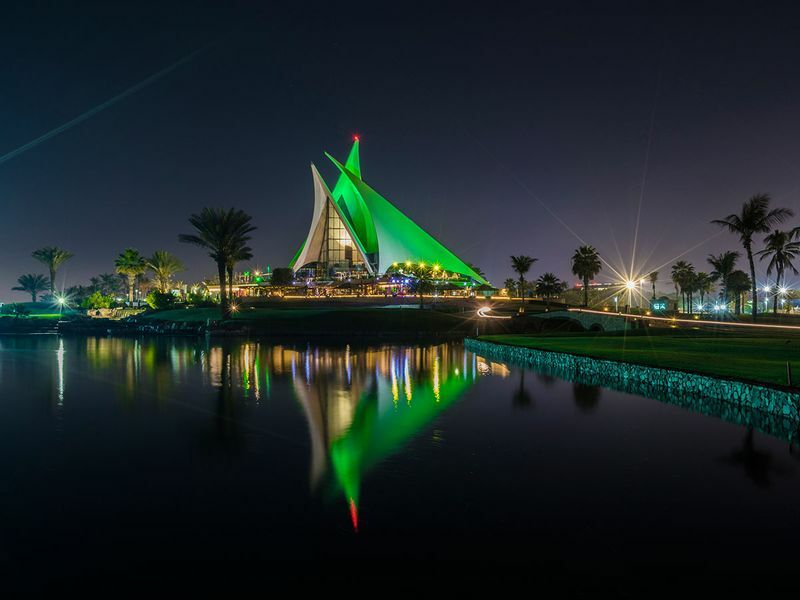 The UAE landmarks joined more than 370 international monuments, stadiums, museums, and towers of note this year — including the Sydney Opera House, the London Eye, and the Empire State Building.